Easter Sunday lunch and dinner is always spent at my grandparent’s house. It is always a special time, and I am thankful to have grandparents that get around very well. But I like to do my part to help them out, and so I asked my grandma how I could help out for Easter. “Just bring a dessert.”, she said. Well there are always plenty of desserts. And there is always chocolate cake with peanut butter icing. How do I compete with that?! Out of fear of taking a dessert of which I’d have to bring most back home, I decided to make a snacky dessert. That way relatives can eat it throughout the day. 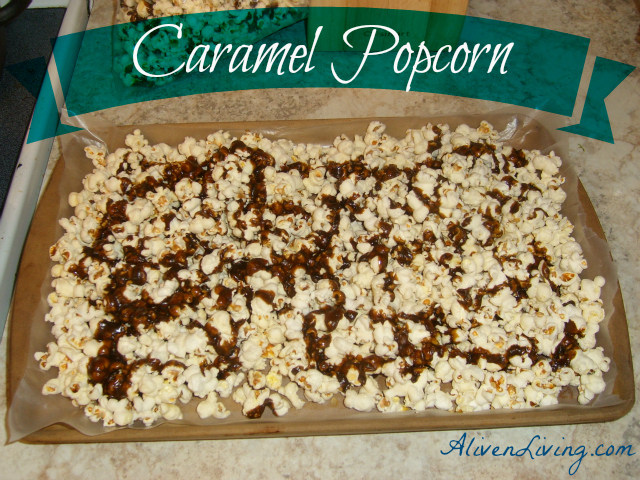 Introducing… Caramel Popcorn! 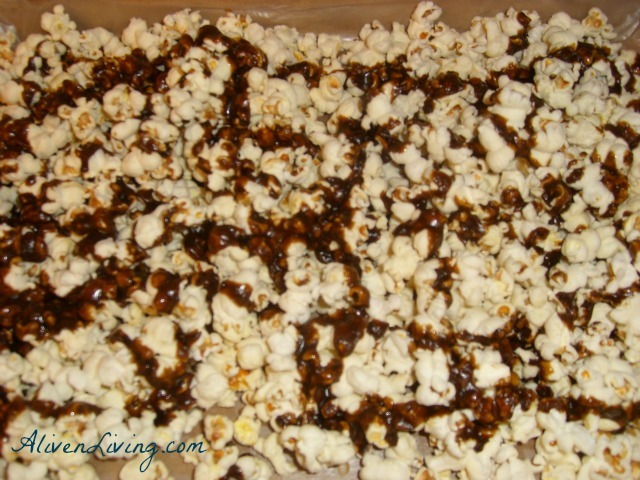 Place popped popcorn on a cookie sheet. Hi there, I think this would be a perfect experiment for our next week movie night. Gonna try this before next Saturday and let you know how taste it is… Anyway I like your blog, it is very clean and beautiful. Jenifer recently posted…Are popcorn bags useful? 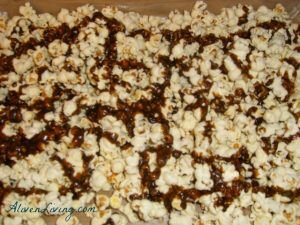 I made chocolate popcorn a few weeks ago and it was fantastic. Will try your recipe soon!